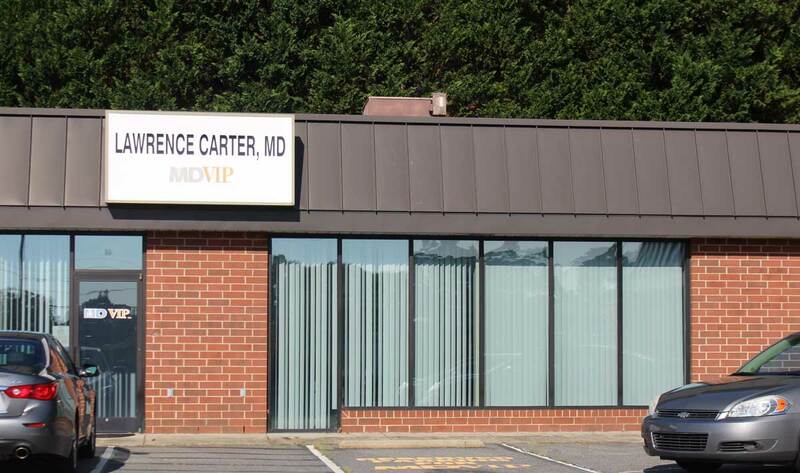 Dr. Carter was born in Fort Belvoir Virginia in 1957 and within three months was on a ship to Okinawa, because his father was stationed there for three years before returning to Fort Bragg, NC. After attending elementary school through third grade, they moved to Guatemala City, Guatemala for two years and then on to Asuncion, Paraguay for three years where he finished seventh grade and became fluent in Spanish. Returning to Fayetteville, NC, he attended and graduated from E.E. Smith High School in 1976 lettering in three sports, football, wrestling and golf. After working as a manager of a restaurant in Salisbury, NC and later construction, he decided to attend UNC-Pembroke. He received a BS in Biology and Chemistry, while playing soccer (Academic All-American 1981). He started his medical career as an undergraduate, working part-time as a male nursing assistant at Southeastern General Hospital and volunteering as an EMT in Robeson County. In 1982, he moved to Chapel Hill, and for the next seven years, while playing/coaching UNC Club Soccer, he worked for the Department of Anesthesiology at UNC doing cardiothoracic research (twenty-three publications in scholarly journals). During this time, he acquired twenty hours of Graduate School credit in Pharmacology and Physiology. He continued volunteering four days per month as EMT, and later as a Paramedic for The Orange County Rescue Squad. In 1989, he started medical school (Bowman Gray School of Medicine, Wake Forest University- Class of 93) and received a United States Air Force scholarship during his second year. After completing his Residency in Internal Medicine at Morristown Memorial Hospital N.J. (affiliated with Columbia University in NYC). He was stationed at Laughlin AFB in Texas as Chief of Internal Medicine. He continued serve our county until 1999 and resigned his commission as Major. Dr. Carter then moved to Hickory, NC with his family and worked with Dr. George Ennis at Northeast Internal Medicine for four years before going out on his own. 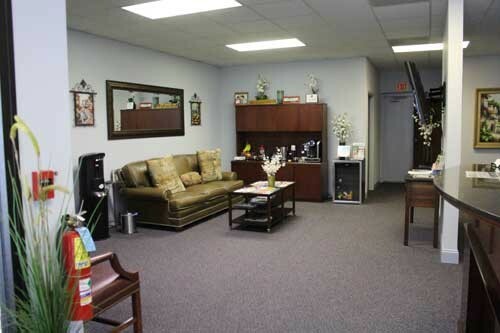 Dr. Carter started private practice by creating Adult Internal Medicine PA. in 2003. Having been raised in North Carolina as an Army brat he appreciated early on the diversity of our population. He realized three distinct cultures in our State: our Coastal flatlands, the Piedmont, and the Mountains, each with their own dialects and style of foods. He did not realize until medical school that besides living in the Bible belt we were also living in the kidney stone, heart attack, stroke, and diabetic/metabolic syndrome belt. While paying back his time in the United States Air Force he discovered a passion about empowering patients instead of just enabling them. 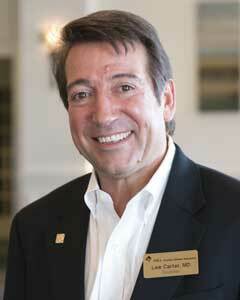 He joined the ACP, AMA, ADA, Southeastern Lipid Association, National lipid Association, COSEHC and SMA. He learned from the experiences of experts on how to apply strategies in taking great care of his patients here in his home town of Hickory. This entails educating the public and patients about healthy diets and activities. 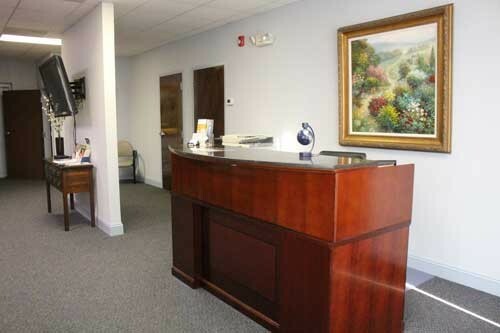 Dr. Carter’s patients have direct physician access and should contact him with non-emergent concerns or medical care questions after office hours or holidays. At MDVIP, we know that a lifetime of good health cannot be achieved through a one-size-fits-all approach to medicine. That’s why MDVIP is different. From the first day of your membership with MDVIP, its affiliated physicians across the country focus on delivering an experience that rivals ordinary primary care practices. Working as partners, you and your personal doctor Dr. Carter, will develop a tailored, comprehensive wellness plan that delivers in-depth knowledge and one-on-one support all year long. you can rest assured that maximizing your health, no matter your current health status, is our number one priority. MDVIP is a program that offers personalized primary care to patients from around the United States. The program emphasizes on preventative care with support from your MDVIP doctor to patients whenever it is needed. With MDVIP the patient is always put first with no limits on appointments and time needed with the doctor. MDVIP doctors work as a team to make overall health better.